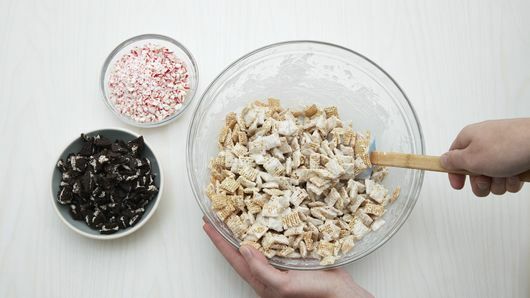 In large microwavable bowl, microwave candy coating uncovered on High 2 minutes, stirring every 30 seconds, until smooth. Pour in cereal; stir gently to coat. 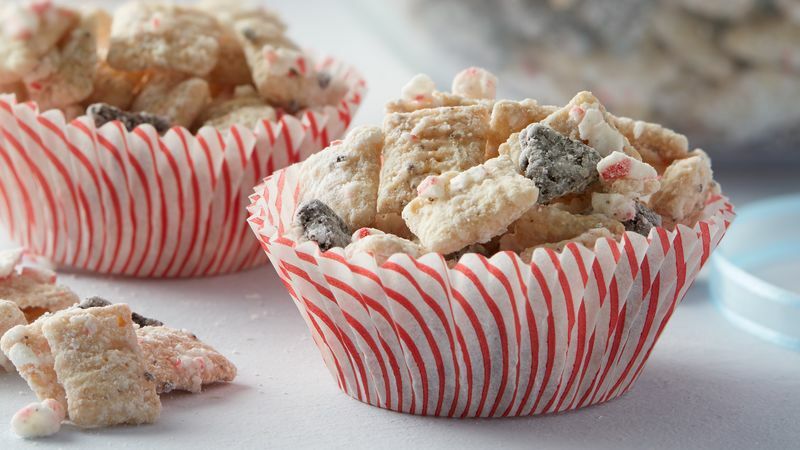 Fold in crushed candy canes and crushed cookies. 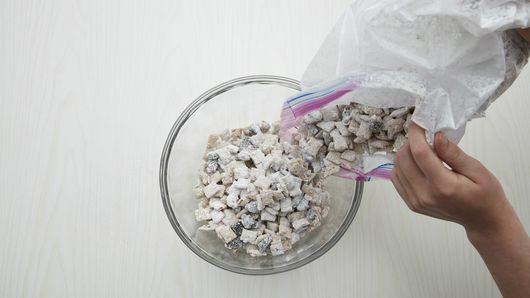 Pour powdered sugar into large resealable food-storage plastic bag. 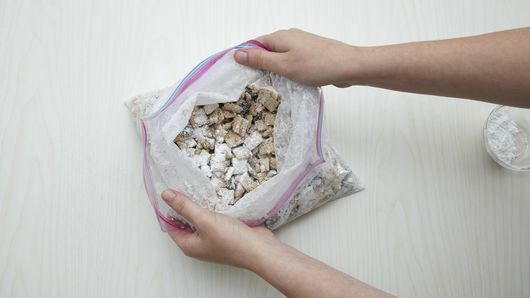 Pour cereal mixture into bag. Seal tightly; shake until mixture is well coated with powdered sugar. Transfer mixture to serving bowl. Swap crushed chocolate wafer cookies for the Oreo™ cookies, if desired. Store in resealable food-storage plastic bag or airtight container at room temperature up to 2 weeks.